Previous posts in this SharePoint 101 series have aimed to cover the groundwork you’ll need on your content creation and collaboration journey. We’ve dedicated a whole series to the basics (and beyond) of the platform giant because it is just that—a giant, a beast; as complex as it is powerful. But with practice, along with a little bit of the right knowledge, you’ll be a valuable (and valued) user of this great business solution in no time! So without further ado, let’s get started with our next lesson - the exciting SharePoint world of wiki, publishing and web part page types. Let’s break it down, and where better to begin than by reminding ourselves what a SharePoint Page actually is. Put as simply as possible, a SharePoint page is the place where your user content is displayed. You could think of it as the ‘face and body’ of your SharePoint site. So, when you arrive at your SharePoint team site, what is displayed to you is the ‘home page’. From here, you can click on any of the pages that will be displayed on the quick launch and navigate to a different page. ‘Shared Documents’, for example—this is itself a page where your shared documents are displayed; or click ‘Calendar’ to see the page that displays your calendar. Same with Lists, Tasks, Libraries; even the Recycle Bin is a page. Easy so far, right? Typically, a page will display images, hyperlinks, the obligatory lists and libraries, web parts, and text. Okay, so, if pretty much everything in your SharePoint site is displayed on a page, then why do you need to know about them? You can view all of these types of pages, but knowing which you can change is key to working successfully with them in a team site, and with SharePoint in general. What we’ll concentrate on today is wiki pages, publishing pages and web part pages. Making changes and edits in a wiki page is incredibly easy. Just click on the edit button (at the top of the page) and immediately the page appears as an editor’s version of the page. You can then make edits straight away and simply hit save. The page will instantly be up and running with your changes in place. SharePoint tip: to quickly tell the difference between a web part page and wiki page, look for the edit button on the top of the page. If it is there, then you have yourself a wiki page. Of course, it probably wouldn’t be fair if the wiki page was completely without drawbacks, right? While wiki pages are flexible and very customizable, one of their drawbacks is the lack of metadata that’s automatically available in them. As you add content to the page, the metadata doesn’t automatically follow. That, as it happens, leads us nicely to Publishing pages. Not as easy to operate as a wiki page but one of its benefits is its functional metadata. When you first create a new page, you don’t have an awful lot of choice as to the publishing page’s layout. Instead, you’re given a few templates to choose from and if you want something more unique you would have to employ someone to design you one in SharePoint Designer, which might be a little beyond our reach at this point in our 101 series! The reason you might opt for a publishing page over a wiki is the level of control you get in your creation. You might want your page to look a certain way, display certain information or you don’t want it altered. You can build this page with particular fields that you want; an employee profile page, with job title, date joined, bio, and a picture. These fields become the template so when you work on the page you only have to fill these empty fields in. The thing is, these fields are actually columns, which means—yes, you guessed it—the metadata automatically sets for each new page, and this will make searching for the pages much easier in the long term. Also, with publishing pages, after editing you can just hit publish and boom there it goes. What’s more, if you're worried about hitting that button too early, you can set an alert to be sent to a particular person to approve your content before it goes live. This type of page also falls under the second of the bullet points above: Web Part pages are pages you can change, but not easily. Shared Documents is a good example. A page which can display an aggregation of information from other sources. Web Part pages can display many types of data, including lists, other web pages, search results, or data retrieved from other servers. Typically, a web part page is made up of a ‘web part’ (hence the name) and contains content like files and documents. You can only insert Web Parts from your SharePoint with this type of page. There is no edit button on the top of the page. There is an edit option—however it’s not very flexible. If you want the flexibility of accessing and creating information with speed, then you might want to consider the ever-popular Wiki page. 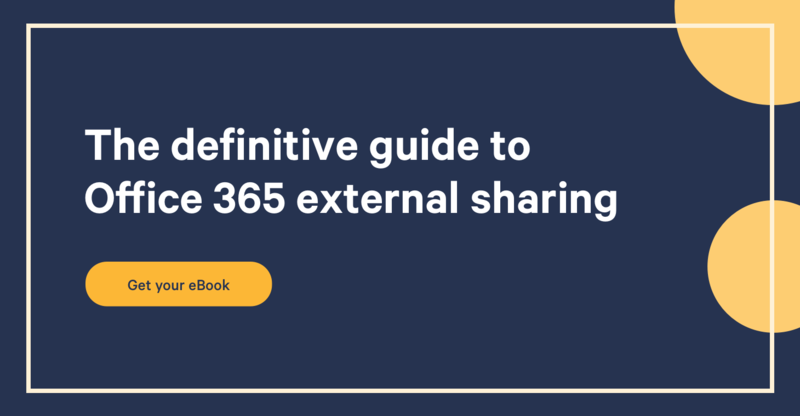 So, now you have a better understanding on each of the SharePoint page types you can make more strategic decisions on what type is right for you and your team, as well as the best time to use them. Until next time, keep practicing your SharePoint skills, and keep in touch!